Thrifty Homesteader: Why did you and your husband become aspiring homesteaders? Janie: I have lived in Boston for the past six years and enjoyed city life, but wished for more space of my own beyond a tiny, shared backyard. I decided to pursue a homesteading lifestyle and want to encourage others to do so as well because I think that homesteading is an accessible way for anyone to improve their health as well as the health of animals and the environment. Many health issues can be tied to what we eat, and therefore I hope to facilitate greater collaboration between public health and sustainable agriculture both in my work and in my own homesteading adventure. I hope that moving back to North Carolina (where my husband and I are from originally) will provide the perfect opportunity to begin homesteading. TH: Can you tell us a bit about your educational and professional background? Janie: In Boston, I worked in public health consulting and much of my work related to healthy eating and obesity prevention. I began to realize that it’s not just about eating more fruits and vegetables. How fruits and vegetables are grown (and animals are raised) really impacts health. After receiving a Masters of Public Health at Boston University, I wanted to learn more so went on to study Sustainable Food and Farming at UMASS Amherst. 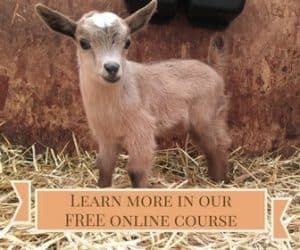 I took courses with Deborah about raising dairy goats and pastured poultry as well as other courses about organic vegetable production and farm management. TH: People always ask me, so I have to ask — did you grow up on a farm, or was there anything in your childhood that prepared you for this? Janie: No, I did not grow up on a farm, but farming is in my family history. In the 1890s, my ancestors were strawberry growers in Mount Olive, North Carolina. At the time, Mount Olive was said to be the largest strawberry shipping point in the state (and now it is the home of the Mount Olive Pickle Company). On the other side of the family, my great great grandparents were organic farmers and as I’ve been told, they had the oldest cotton gin in Orange County, NC. So while I really didn’t have much experience during my childhood of raising animals or farming, it’s exciting to think that I can follow in the footsteps of my ancestors. TH: You spent two months WWOOFing before getting to North Carolina. Was there anything that you learned while staying at the different farms that made you decide to have something on your farm that you hadn’t originally wanted? Or did you decide that you don’t really want something that you originally planned to have? Janie: Absolutely, it was a life-changing trip. 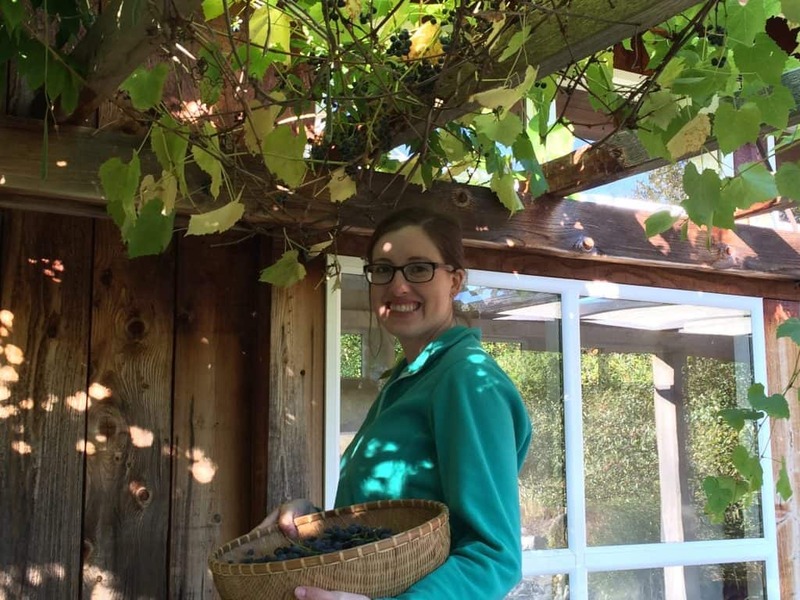 My husband and I traveled across the U.S. working on organic farms in Illinois (Antiquity Oaks), Kentucky (Hill and Hollow Farm), Minnesota (Kara Kahl Farm), and Lopez Island, Washington (Midnight’s Farm). We learned about organic vegetable production, value-added products, and composting as well as raising dairy goats, poultry (chickens, turkeys, ducks), cattle, pigs, and sheep. The biggest surprise was that we really enjoyed pigs, and now we plan to raise American Guinea Hogs. While we haven’t ruled anything out, we also took away from the trip that it’s best to start small. So, I think we’ll start first with a garden, chickens, and pigs and then take it from there. TH: Any idea yet on what your biggest challenge will be? Janie: As Deborah mentioned, we’re at the very beginning of our journey. We just arrived in North Carolina yesterday and have lots on our to do list, including finding land and a place to live! I think this will be the first biggest challenge we’ll face. Beyond that I feel like the homesteading possibilities are limitless, and the main challenge will be in having the confidence to just get started and keep going. As I’ve learned from Deborah and other farmers we visited, the best way to learn is by doing, so that’s what I plan to do. While traveling I also did lots of reading in hopes of learning lessons from others before I make too many mistakes! 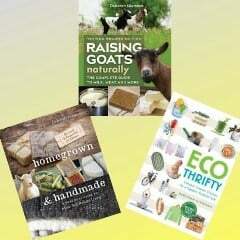 TH: What other homesteading activities are you interested in pursuing first? Janie: While WWOOFing, I had the opportunity to learn about cheese making and soap making. I’m interested in working on those skills first as well as making other homemade household products. I look forward to reading your comments and gaining inspiration from Thrifty Homesteader readers too! Good luck on your adventure. You seemed to have prepared well. What does WWOOFing stand for? My husband and I are moving to our daughter and her family’s farm. We will become an extended family. They raise Nigerian-dwarf goats, pigs, chickens, rabbits, and ducks. We have helped with the butchering of the pigs and chickens. It is a lot of work and we want to be part of it. My husband breeds and raises buckeye chickens. We will have room to do it on their farm. Thank you, Geri! WWOOF stands for World Wide Opportunities on Organic Farms (http://wwoof.net). You can travel most anywhere in the world to work on organic farms. I particularly liked WWOOFing in the U.S. because I was able to visit several farms across the country on a big road trip. Best of luck on your adventure too! It sounds like your daughter and family will be very lucky to have you on their farm. Thanks for sharing your experiences, Janie! Sounds like you and your husband had a wonderful adventure and will continue to have many more!